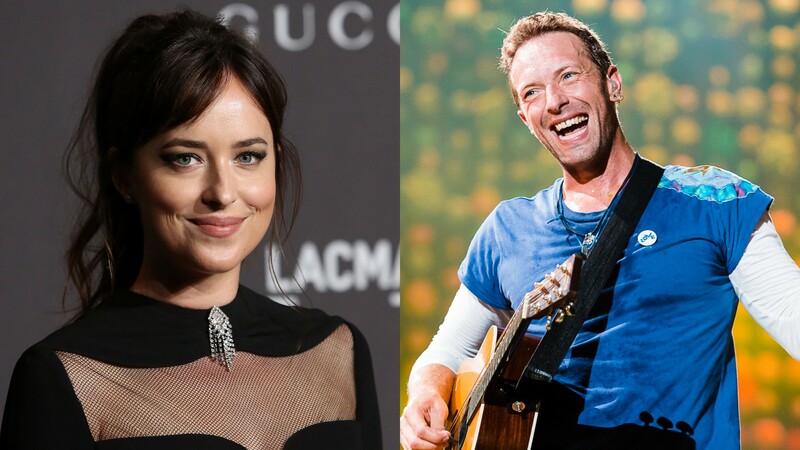 Dakota Johnson may not be expecting a child with rumored boyfriend Chris Martin anytime soon, but that doesn’t mean she’s not willing to get involved when it comes to his life as a father of two and co-parent with ex Gwyneth Paltrow. After more than a year together, Johnson reportedly joined in the Thanksgiving festivities with Martin, Paltrow and Paltrow’s new husband, Brad Falchuk. Additionally, Martin and Paltrow’s kids, Apple and Moses, were present for the festivities. According to E! News, this was Johnson and Martin’s first major holiday spent together. Although the couple reportedly started dating in October 2017, Johnson wasn’t at Thanksgiving with Martin, Paltrow and Falchuk last year. However, E! reports that Johnson has since struck up a friendship with Paltrow and that she’s been brought into the family fold. Given how close Martin and Paltrow have remained since their “conscious uncoupling” in 2014, especially as co-parents, that’s really good news. According to E!, the amicable exes took their kids to see Waitress on Broadway before Thanksgiving, and the source who spoke to the outlet remarked that Paltrow wants everyone in the family to spend time together, especially on holidays. Although Falchuk’s own children are not mentioned in reports of the holiday (we can assume they spent it with their mom, his ex-wife Suzanne Bukinik), Paltrow has reportedly been spending a lot of time with them, according to People. The pair has no plans to add children to their already-extended family. Whatever the future holds, it seems like this blended family has things figured out so no one feels uninvited or like they can’t be included, which is commendable.